So, this one snuck on me. With all the wrapping up in Australia we’ve been doing, all of a sudden, it was like, damn, here we go. 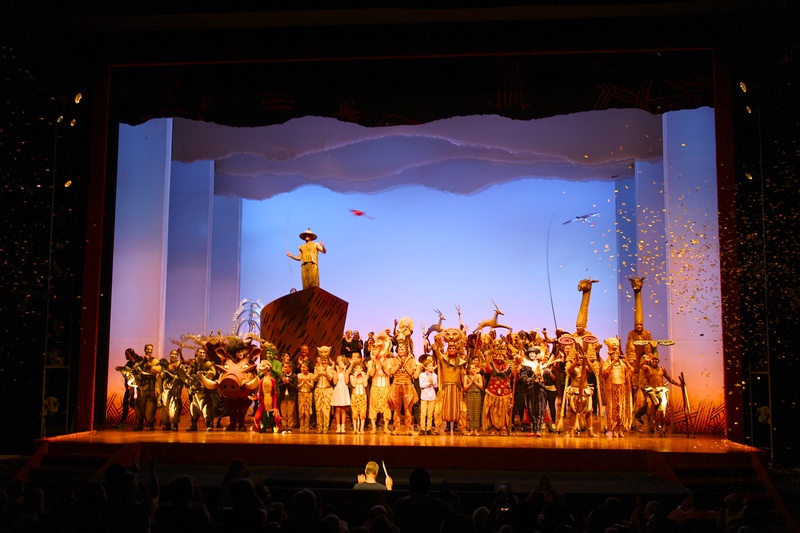 Our final performance of The Lion King Australia Antelope Tour. Goodbye Australia from The Lion King. Here’s a shot after I proudly watched the show from a seat tonight. The final curtain call with my fabulous cast and crew taking a well deserved final bow. And of course – confetti! This entry was posted in Burswood and tagged Antelope Tour, Australia, Final Show, Perth, The Lion King, The Lion King Australia. Bookmark the permalink.